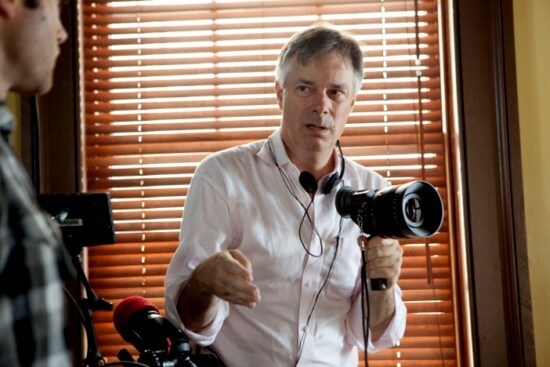 Not so long ago, a single Whit Stillman interview would have made for an exciting blog post. But now, with Damsels in Distress in cinemas, we’re cramming plenty of the things together as if they’re nothing special. WS: Everything [about making a film] can be bad! I think there is… I used to find the editing phase the best. But even that can be bad if things aren’t quite working. I find starting out… the idea of the script is normally a happy thing then getting started is very difficult. Then there’s a point when things are going well with the script and everything’s exciting. I think probably everything has its downsides. So yes the casting thing is great because you’ve finished the script and people want to make it – that’s kind of cool. But then there’s also the terror that you won’t find anyone to play some parts. We had a very hard time finding the males for Damsels . The French actor Hugo Becker we didn’t get his visa until the last three days of the shoot. And everyone thought I was crazy hanging on for this actor, they wanted me to recast. DA: So you had to do all of his stuff in the last three days? WS: The last three days of the shoot. Leader: As the director and producer, how did you keep costs down? 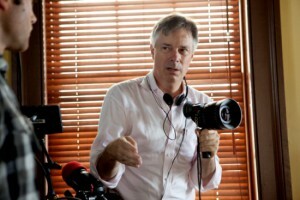 Stillman: You don’t do things the industry way. I was a little too maniacal about it, because I am such a cheapskate emotionally that I would get out of control where any expenditure upset me. But I felt we were a very comfortable production, because we could have a Dunkin’ Donuts coffee run twice a day. There’s one in the afternoon, too. So I felt that was quite luxurious. Having good coffee on set was quite a treat. Leader: The film does have a very striking look. Those backlit shots, with the sunlight cutting through the frame, are beautiful. And I don’t think many cinematographers would do that. Stillman: It’s amazing. Some people really criticise that. I think it’s fantastic. It’s transformative. I think that digital photography, by people who know how to use it, has gotten far superior to film. Far superior. I love it. I mean, I saw a famous RED film last night on TV. It was one of the first big-budget films made on a RED. I don’t know what they did wrong, but it looks so god-awful. And I think the RED wasn’t very good when it started. And, also, I think on post-production, if people don’t colour time it properly… You have to have proper people working at every stage. Interesting that for such a film-maker who many think of as somehow old-fashioned, he’s so keen on the latest shooting technology, when plenty of directors are stubbornly holding on to celluloid for as long as possible. And that’s all the interview action for the time being. Really been enjoying these updates. Thanks so much for all your hard work Phil!